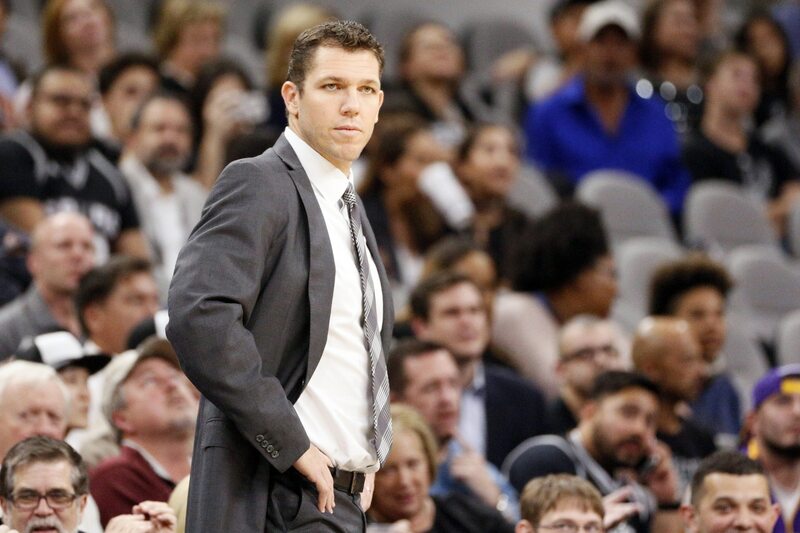 Shortly after being let go by the Los Angeles Lakers, Luke Walton is already emerging as the top choice for another NBA head coaching job for a rising team with an interview potentially on the way. According to Marc Stein of The New York Times, Sacramento Kings general manager Vlade Divac has already requested an interview with Walton about the team’s open coaching vacancy. Sacramento was interested in Walton when he first became available but ultimately took the Los Angeles Lakers job in 2016. After firing Dave Joerger on Thursday, Walton was immediately linked as a front runner to be Sacramento’s next head coach if he became available. The Kings experienced a massive turnaround during the 2018-’19 season with growth from young guards De’Aaron Fox and Buddy Hield in a fast-tempo offense that showed even more growth with the help of Harrison Barnes and rookie Marvin Bagley III. Sacramento is looking for a head coach that it believes can take its young core to the next level and become a playoff contender next season. According to Stein, the Kings also intend to request to interview San Antonio Spurs assistant coach Ettore Messina.